Call it snowshoeing, winter hiking, or winter travel, The Mountaineers refuses to leave you inside when it gets cold outside. 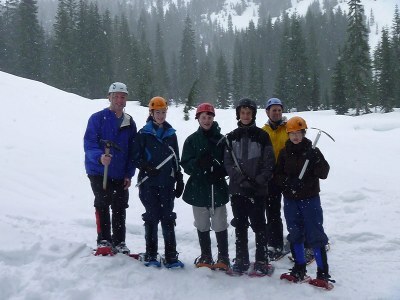 The Basic Snowshoeing Course offers an introduction to safe and enjoyable winter travel for the beginner. It is designed for people who want to get a taste of snowshoeing and pick up solid foundational skills. Topics of instruction will touch on all foundational elements of winter travel, including introductions to the selection, use, and care of proper equipment (shoes, poles, packs, etc. ); clothing and boots; conditioning and nutrition; ten essentials and safety; snow conditions and avalanche awareness; winter travel tips and techniques; weather conditions; and choosing an outing. We’ll have recommendations for where to go, what to rent, what to buy. The number of lectures and field trips varies among the branches. In January by Everett, Foothills, Kitsap, Olympia, Seattle and Tacoma branches. The Backcountry Snowshoe Skills course is designed for adventurers who want to gain the skills and experience to handle more challenging snowshoe routes and terrain than those offered in Easy or Easy+ trips. Moderate and Strenuous trips are, in many cases, non-technical mountain-climbing routes with mountain peaks for destinations. The course will cover information and skills needed to survive in backcountry terrain, including introductory avalanche awareness and response, incident response, emergency shelters, self-belay and self-arrest skills. December through February by Everett, Kitsap, Seattle and Tacoma branches. The Snowshoeing Course Badges may be granted to members who have applicable experience and can demonstrate proficiency in the relevant skills, and who have completed Avalanche Awareness training. Applicants should submit an application that shows they have training or experience that meets or exceeds the requirements for course graduation, and demonstrate, without instruction, a level of competency that is equivalent to that expected of a course graduate. To connect with an equivalency coordinator at your branch, please fill out this form. Learn to make a comfortable camp in the snow. This course will cover both winter tent camping and non-emergency winter shelters (primarily snow caves, but touching on igloos and other options). 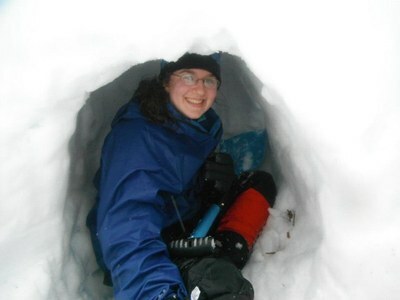 The course consists of one lecture and one all-weekend Field Trip, which includes building a snow cave! In February or March by Tacoma, Seattle and Kitsap branches.